Wide selection of C7 bulk spools of empty socket light line in 1,000', 500' and 250' rolls. Ideal for commercial or residential Christmas lighting projects. C9 bulk spools in both green and white empty socket light line in 1,000', 500' and 250' rolls. Top choice for Professional Christmas installers. C7 & C9 molded plug light line comes with a male plug already molded onto the set. No need to cut the cord or add plugs. 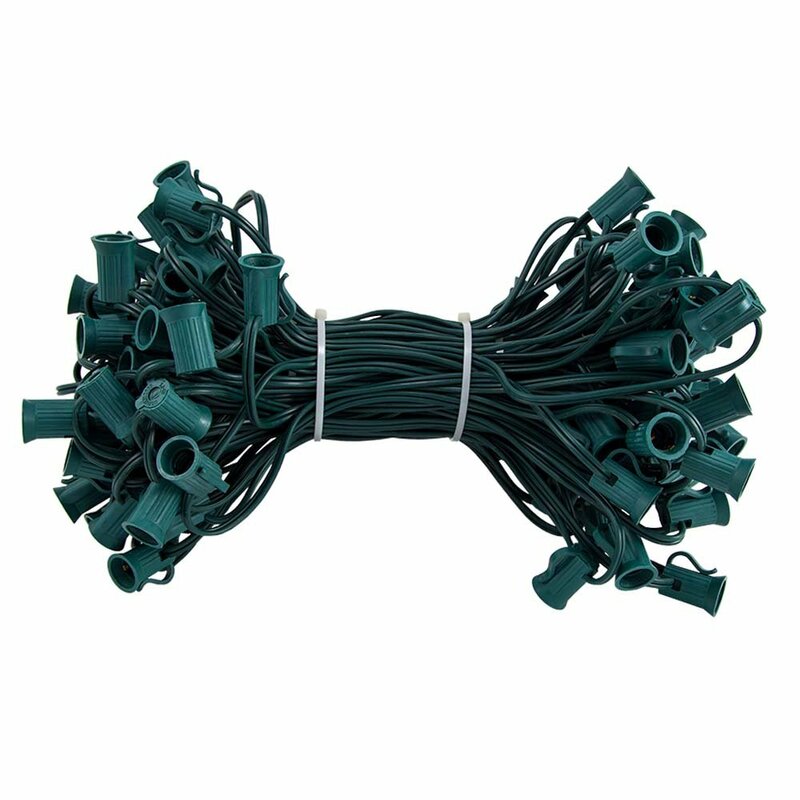 Ideal for small Christmas lighting projects. 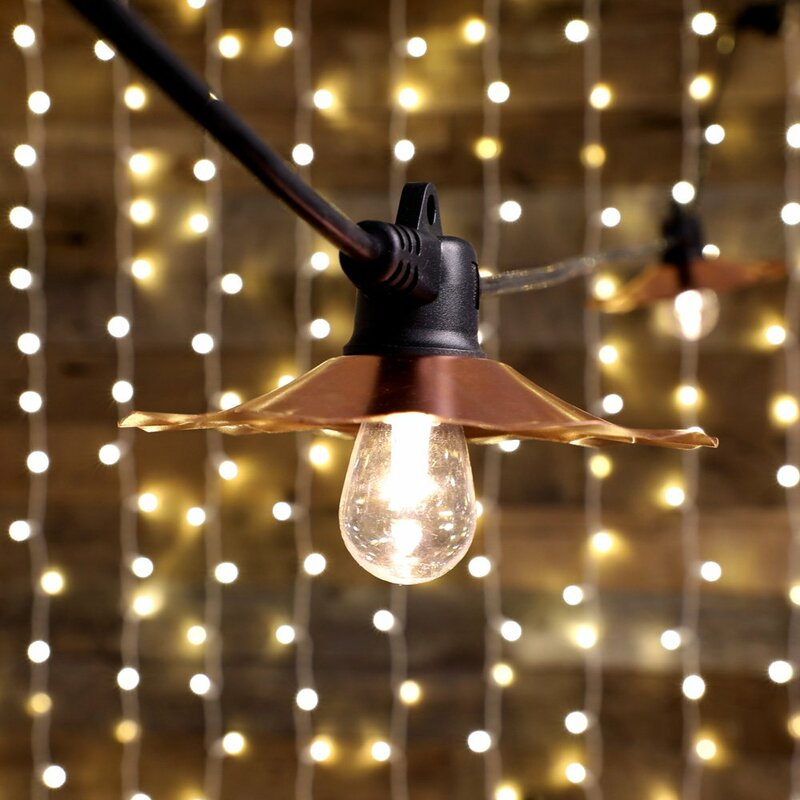 Medium base cord ideally suited for bistro style overhead lighting. Elegant modern design, commercial quality for home, restaurant or special event lighting applications. 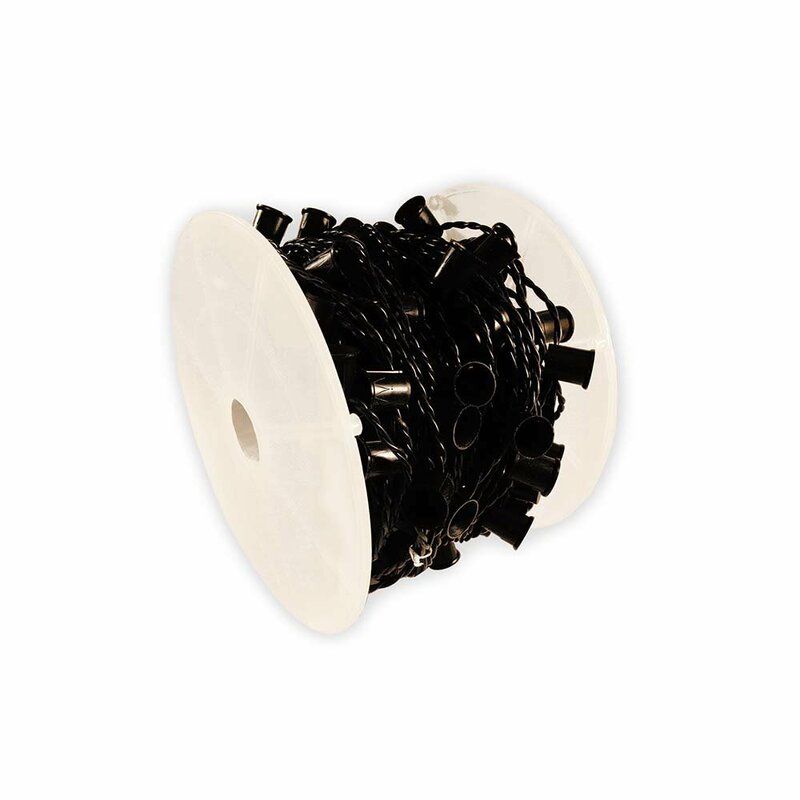 C7 and C9 nylon cord bulk light line spools. 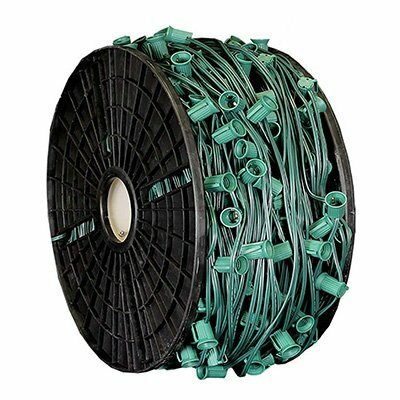 High strength nylon socket construction and thicker 14 gauge and 16 gauge electrical cord ideally suited for long term installations.